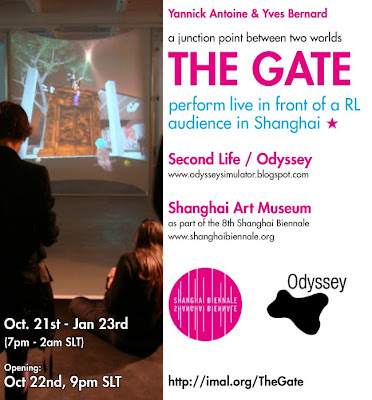 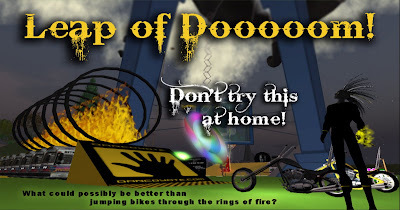 Live on Odyssey October 21st 2010 to January 23 2011 - The return of The Gate. 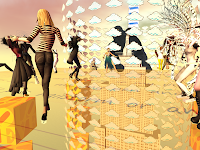 Yannick Antoine & Yves Bernard have created a junction point between two worlds known as The Gate. 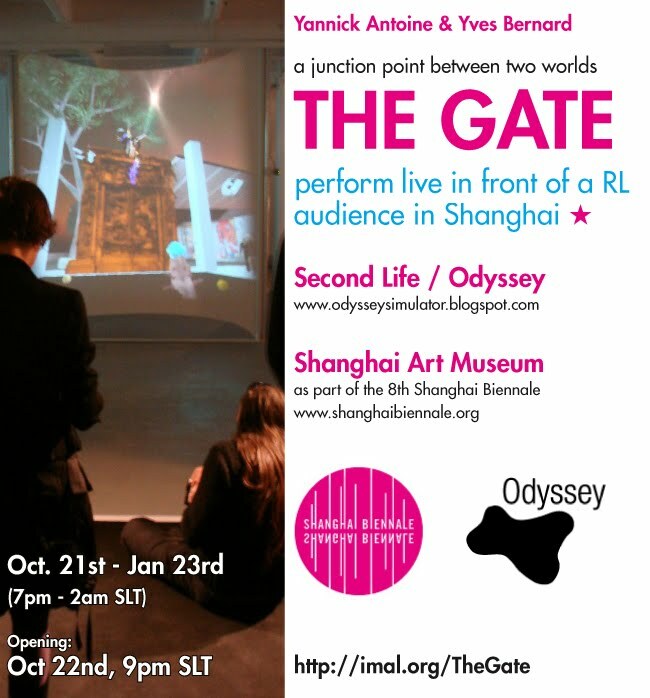 The portals of The Gate are located on Odyssey in Second Life and at the Shanghai Art Museum, in Shanghai, China. 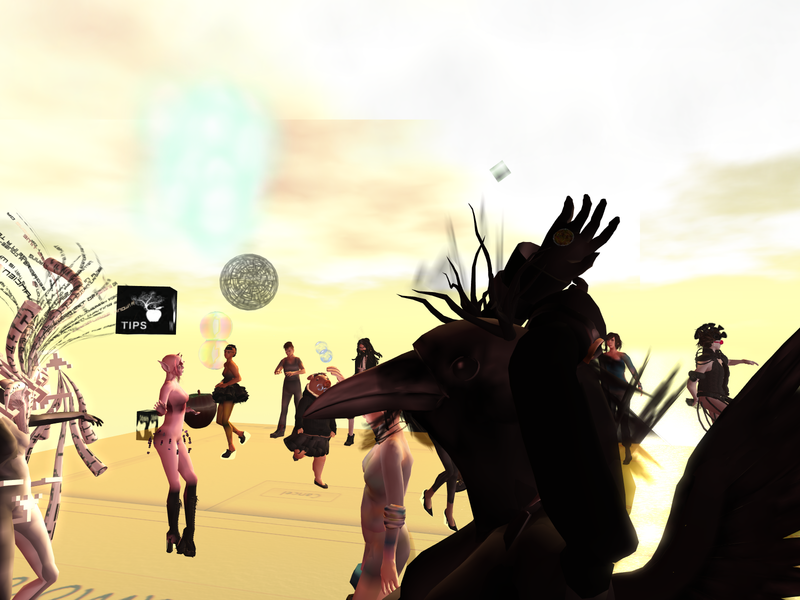 The Gate will remain open in Shanghai and on Odyssey from October 21, 2010 until January 23, 2011 during the hours of 7 PM to 2 AM SLT. Last night we were proud to present - The Great Debate Dance Party! 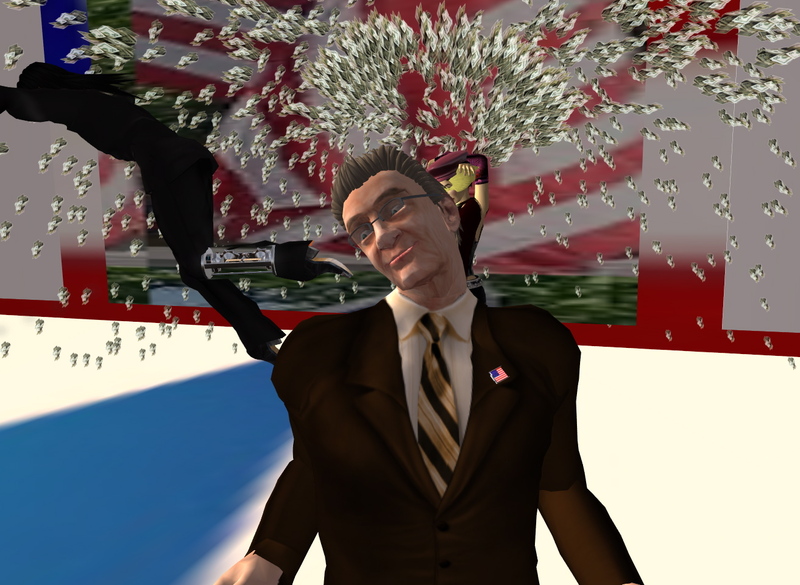 Joseph DeLappe (previously known as MGandhi Chakrabarti) has a new avatar -NoneOfTheseCandidates Macbain! 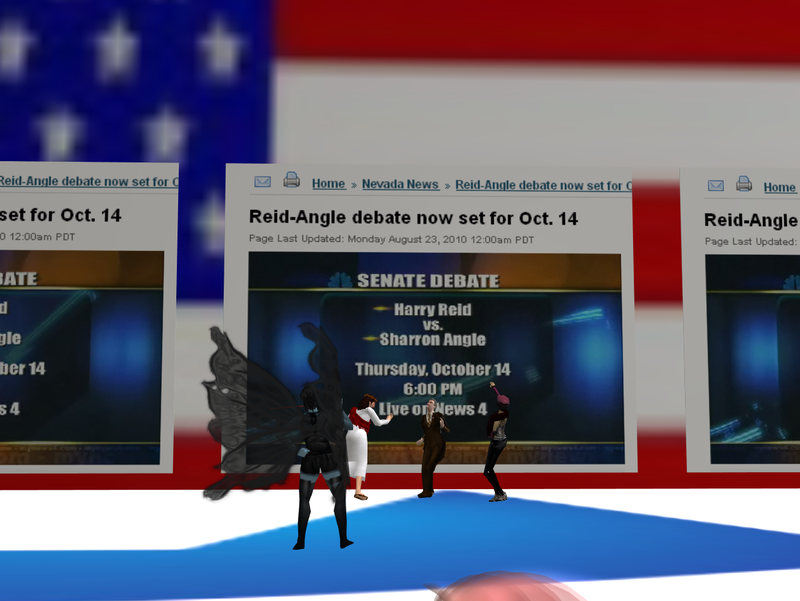 NoneOfTheseCandidates Macbain is running for Harry Reid's U.S. Senate seat in Nevada! 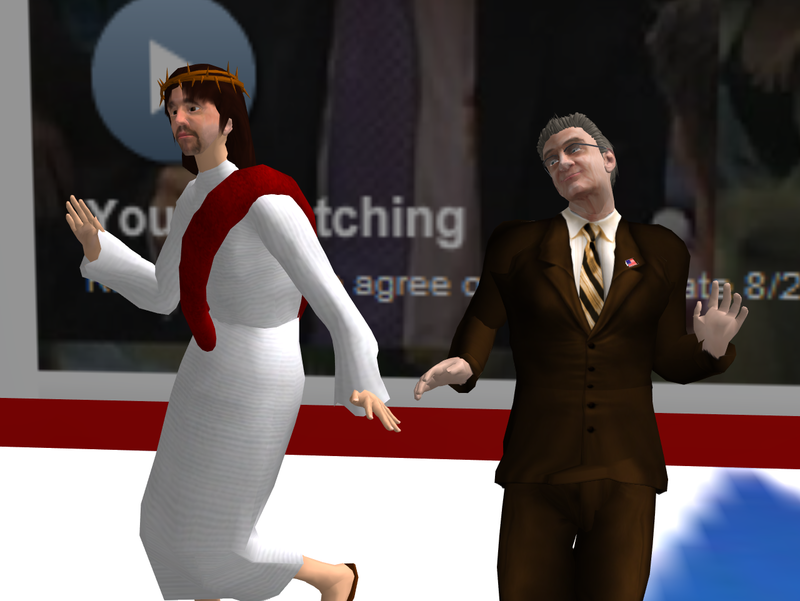 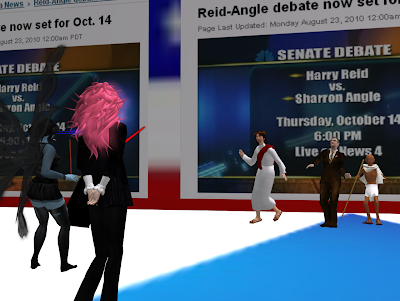 Last night he virtually crashed the Harry Reid/Sharron Angle televised debate and many friends showed up to dance the night away. 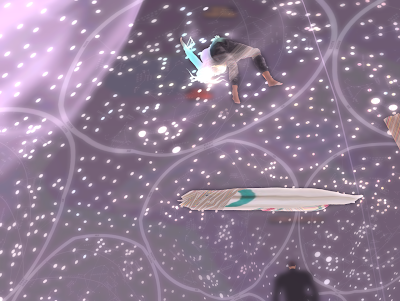 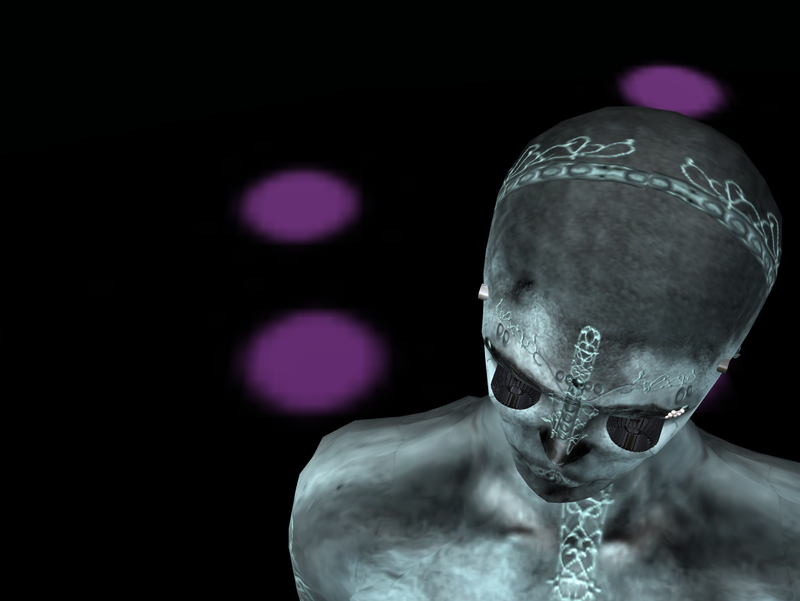 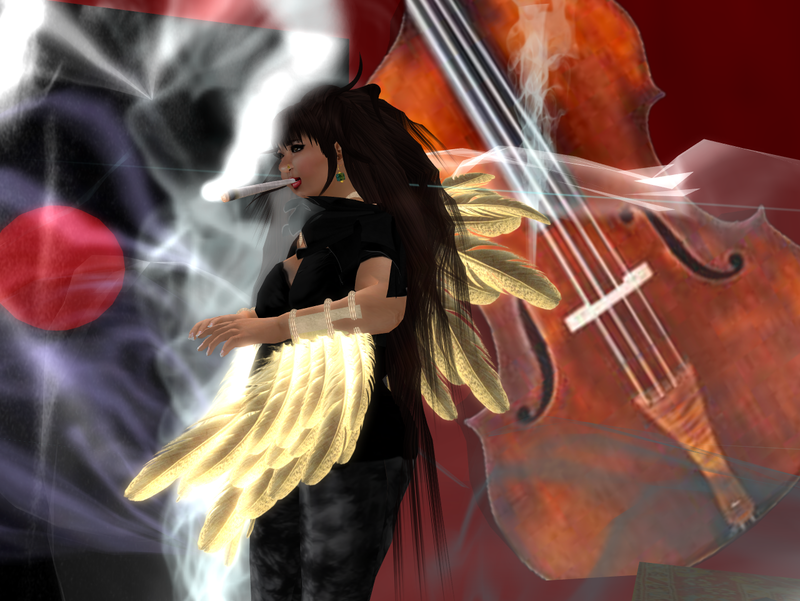 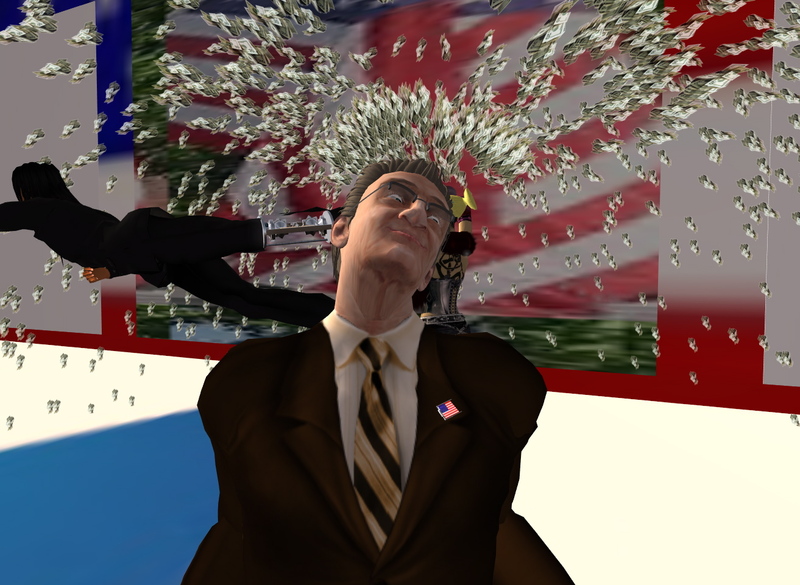 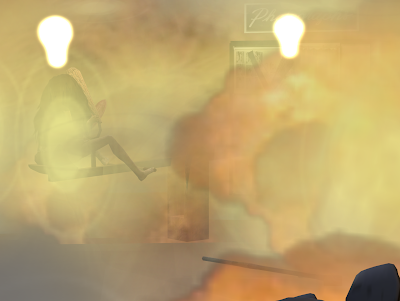 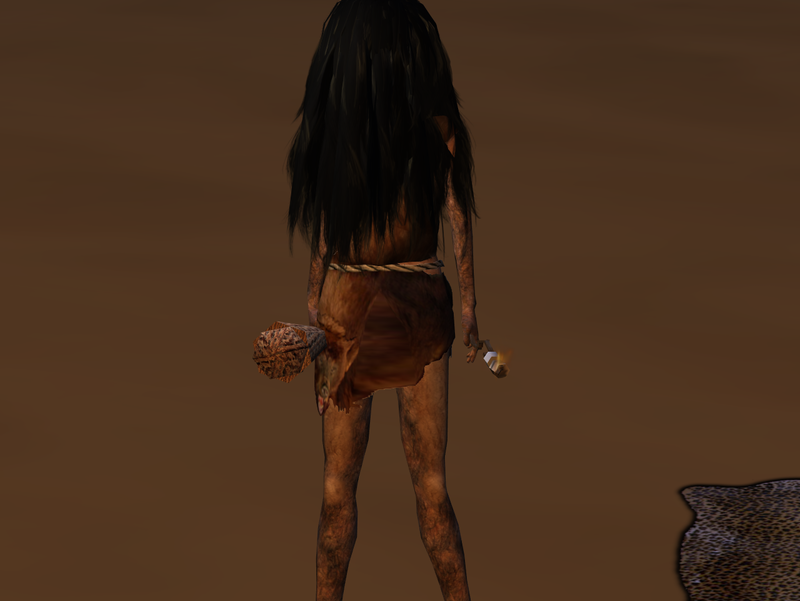 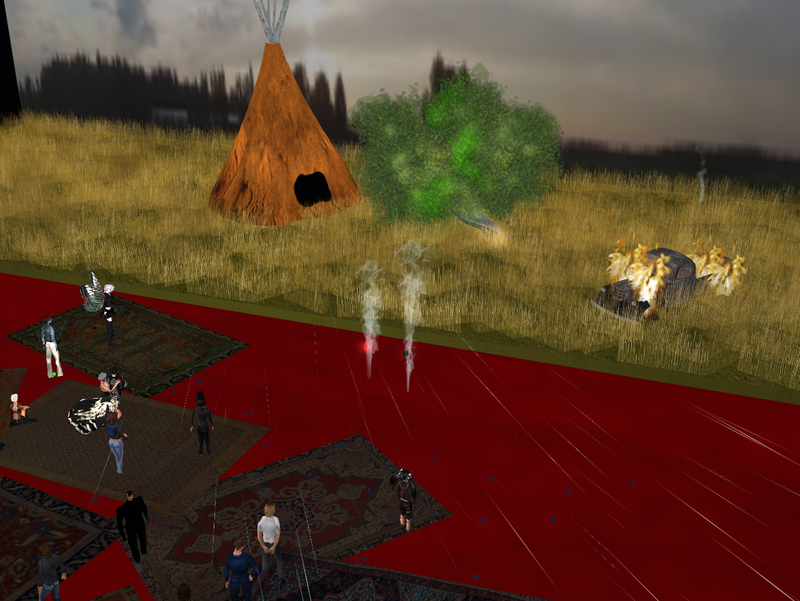 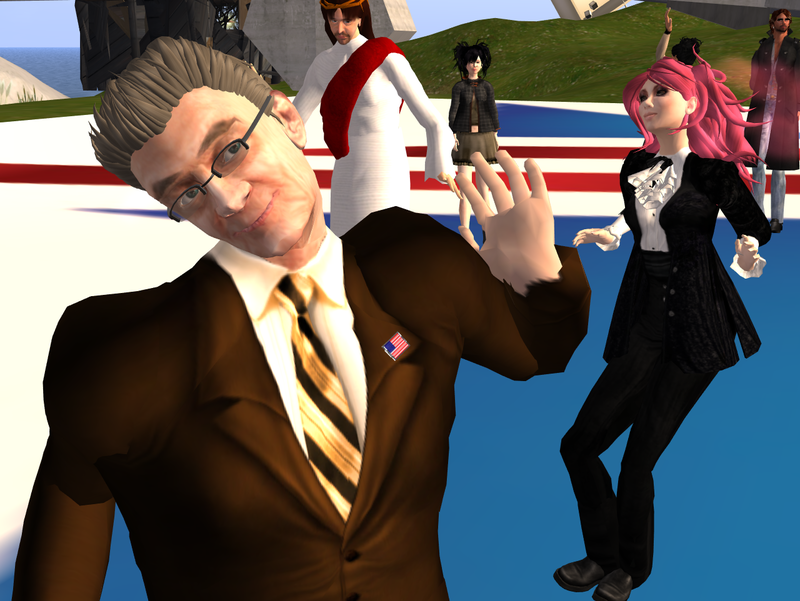 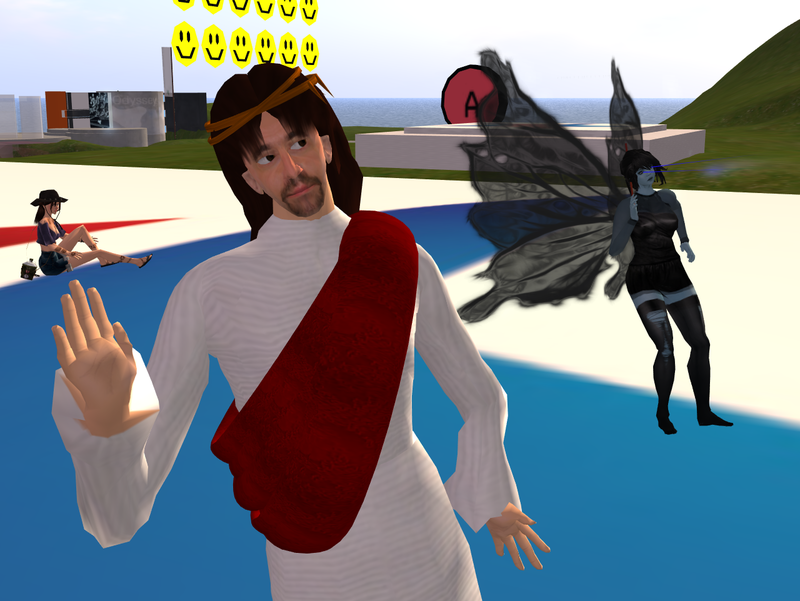 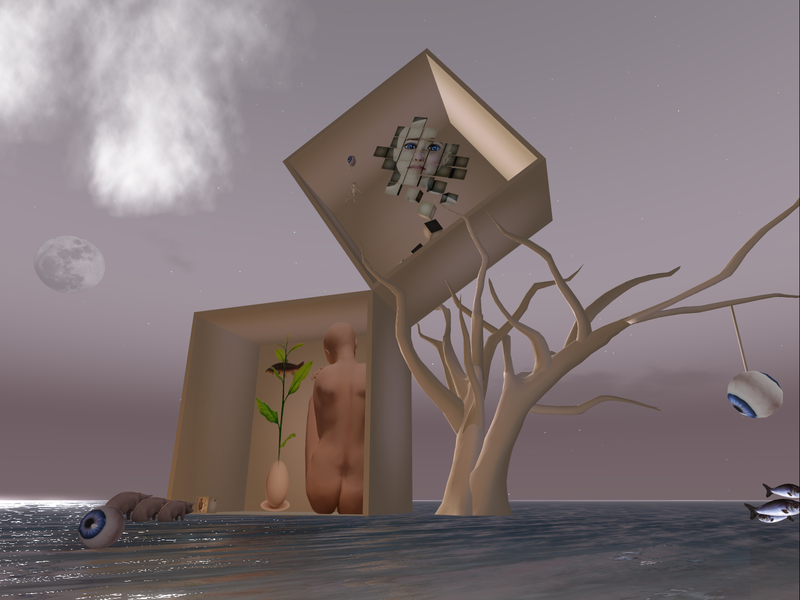 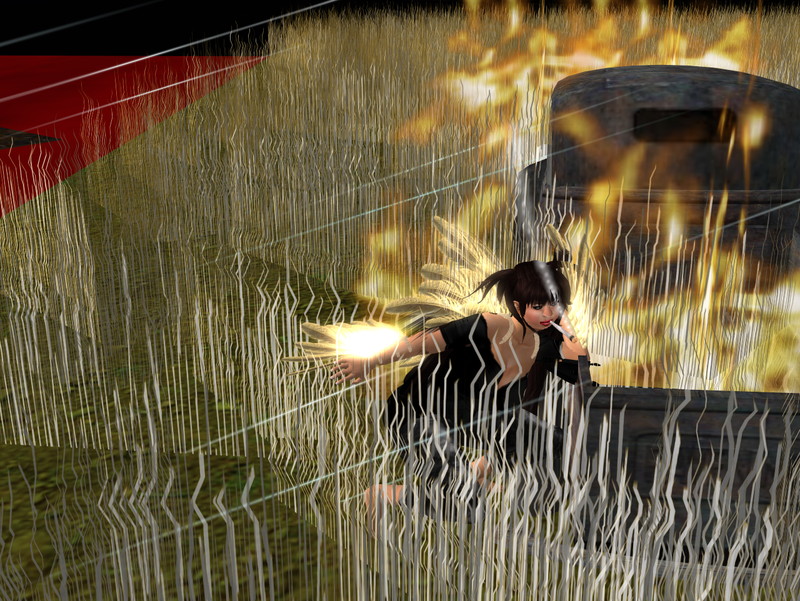 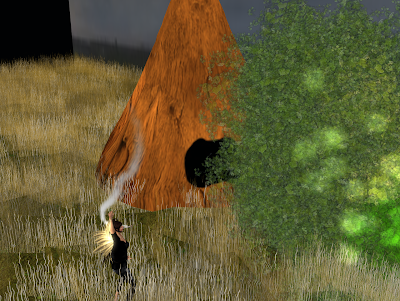 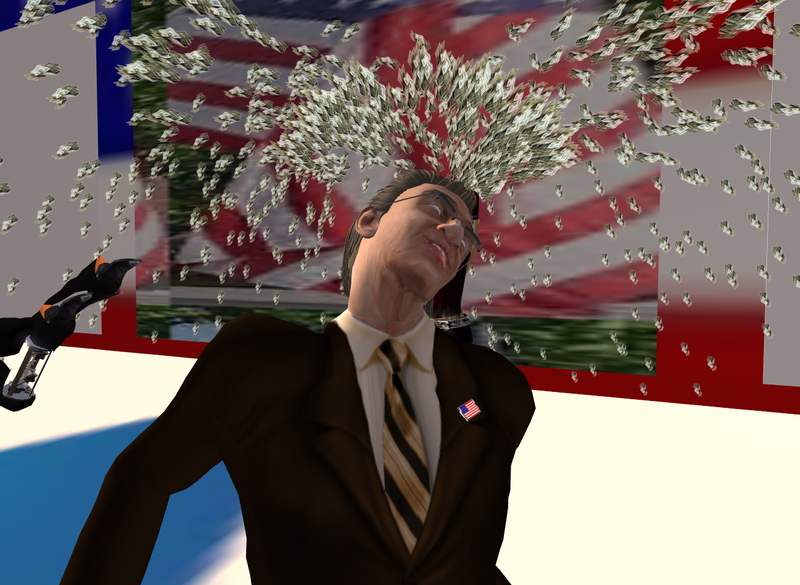 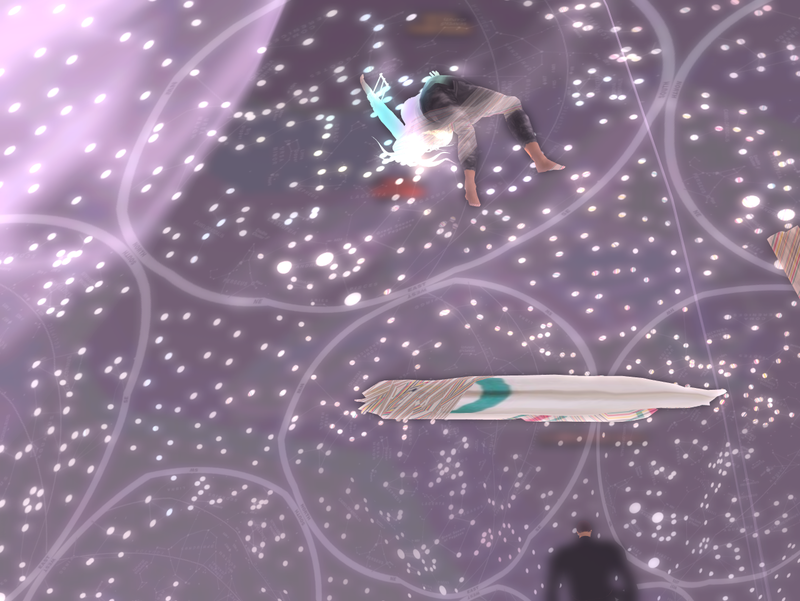 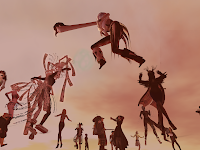 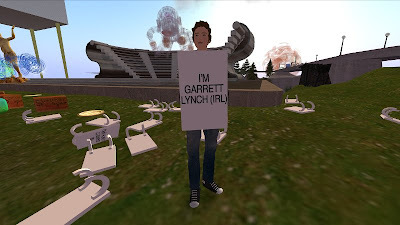 The event was also streamed Live on the Internet from Odyssey Art and Performance in Second Life. 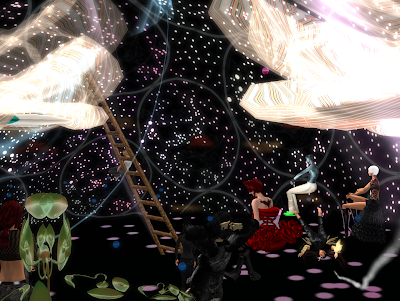 It was a great party. Even the Pope was there. 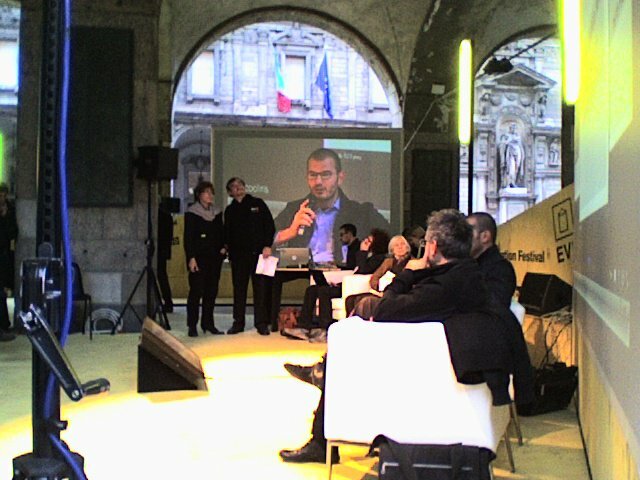 The Second Front made an appearance on Odyssey during Milan's Innovation Festival to present a new performance piece - The MoFos of Invention - starring Bibbe Oh/Bibbe Hansen, Fau Ferdinand/Yael Gilks, lizsolo Mathilde/Liz Solo, Man Michinaga/Patrick Lichty, Tran Spire/Doug Jarvis and special guest appearance by Phreek Fargis and Ze Moo. The event took place simultaneously on Odyssey and live in Milan Italy. Photos from the live event in Italy sent to us by Roxelo Babenco/Rosanna Galvani. 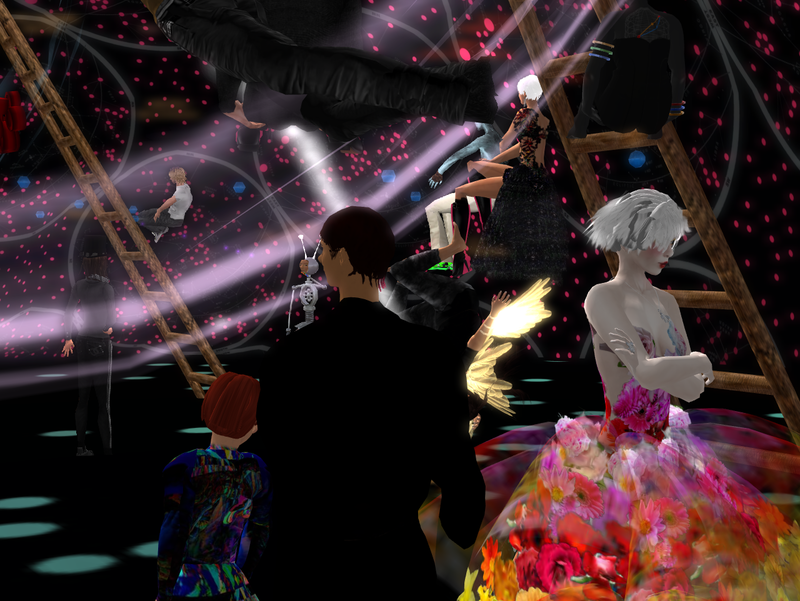 Second Life photos below by Fau Ferdinand. 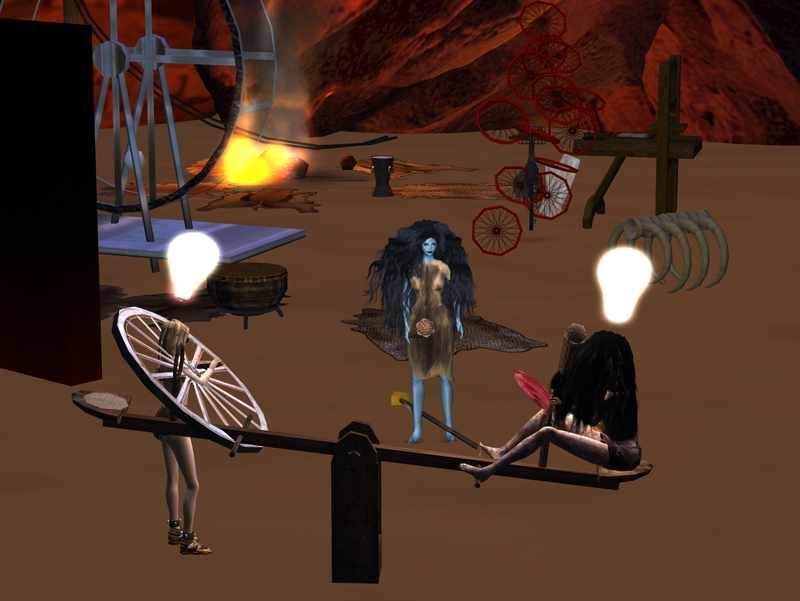 Misprint Thursday presented her epic performance RIENTRARE on Odyssey as part of the 2010 Innovation Festival. 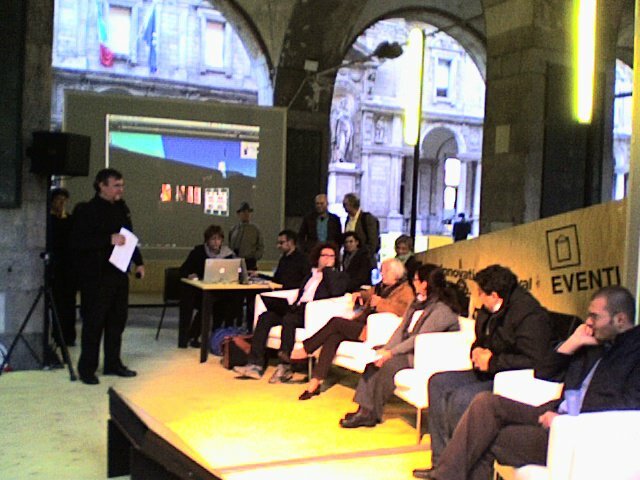 The event took place simultaneously in Second Life and live in Milan, Italy. 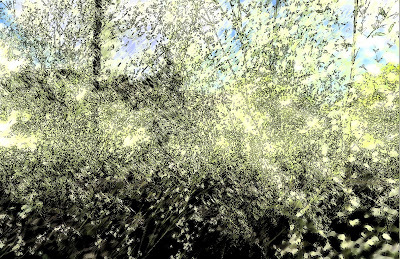 Misprint collaborated with composer and musician Ulf Skogsbergh on three songs for the piece. 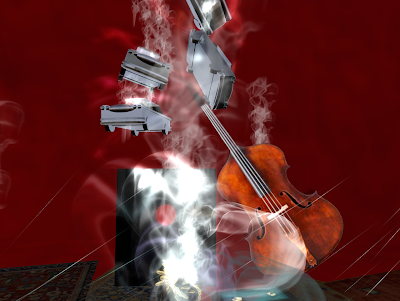 Misprint also made three separate sets - the visuals for the performance were designed specifically for each composition in order to create "a cinematic diorama in the presentation of the installations and songs". The audience moved from one set to another while Misprint performed and generated live soundscape. 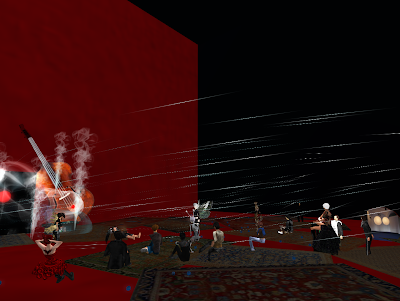 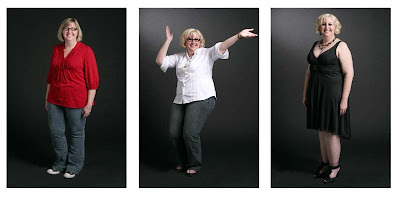 These photos documenting the performance are by Fau Ferdinand. 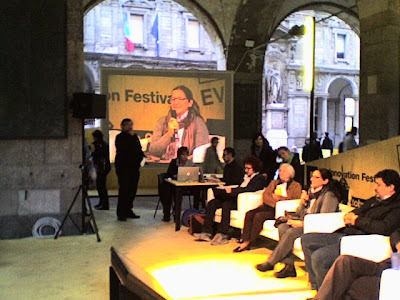 Read more about the Innovation Festival. Applecross takes audiences on field trips for the opportunity to hear music in "Second Life's most unique and stunning locations". We had a great night of fun hosting an Applecross event on Odyssey in September - with special guest DJs: M4SK22 Melody, Samara Cioc, Paradox Messmer, and PirateDucky Constantine. See the Applecross Blog for more images on this and other events and for information on upcoming Applecross performances. 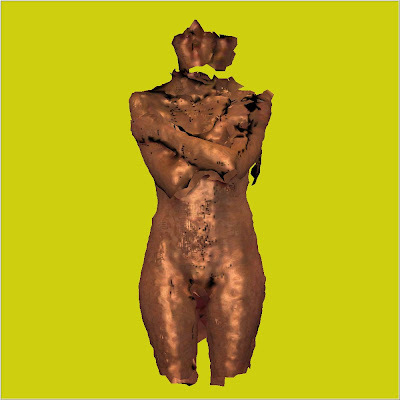 Odyssey Contemporary Art and Performance has started up a new Youtube Channel to share work and documentation from Odyssey exhibits. 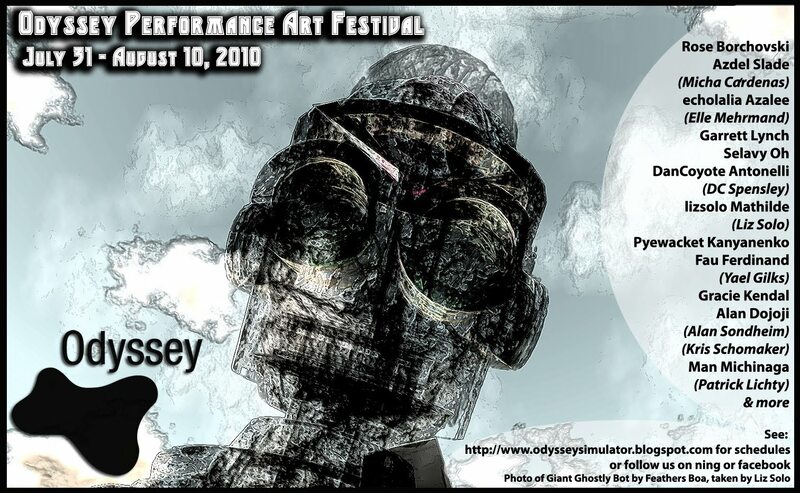 Our first pieces are now online - ten machinimas documenting the performances that took place during the 2010 Odyssey Performance Art Festival. 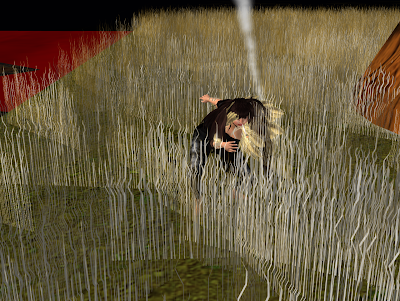 Please visit and subscribe to the Odyssey Simulator Youtube Channel and view videos of work by Patrick Lichty/Man Michinaga, Selavy Oh, Kris Shomaker/Gracie Kendal, Alan Sondheim/Alan Dojoji, Ze Moo, Azdel Slade/Micha Cardena and echolalia Azalee/Elle Mehrmand, Liz Solo/lizsolo Mathilde and Yael Gilks/Fau Ferdinand, DanCoyote Antonelli/DC Spensely, Rose Borchovski and Garrett Lynch. A huge thank you to all the amazing artists and audiences who came out to make this first festival such a success! 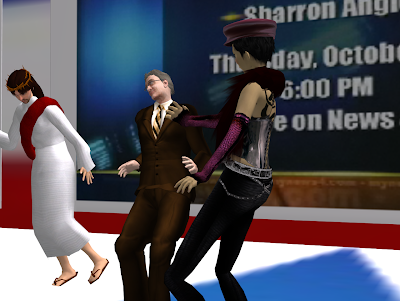 Here is footage from Selavy Oh's "A Space to Chat". Visit our Youtube Channel for more.